Want to get started with Bykski's RBW lighting system but not sure where to begin? We've got you covered with our Bykski lighting starter pack to help guide you on everything you need to create the ultimate RBW Lighting Setup. Start off with the Bykski Motherboard Synchronization controller and lighting strips to take advantage of addressable RGB lighting. 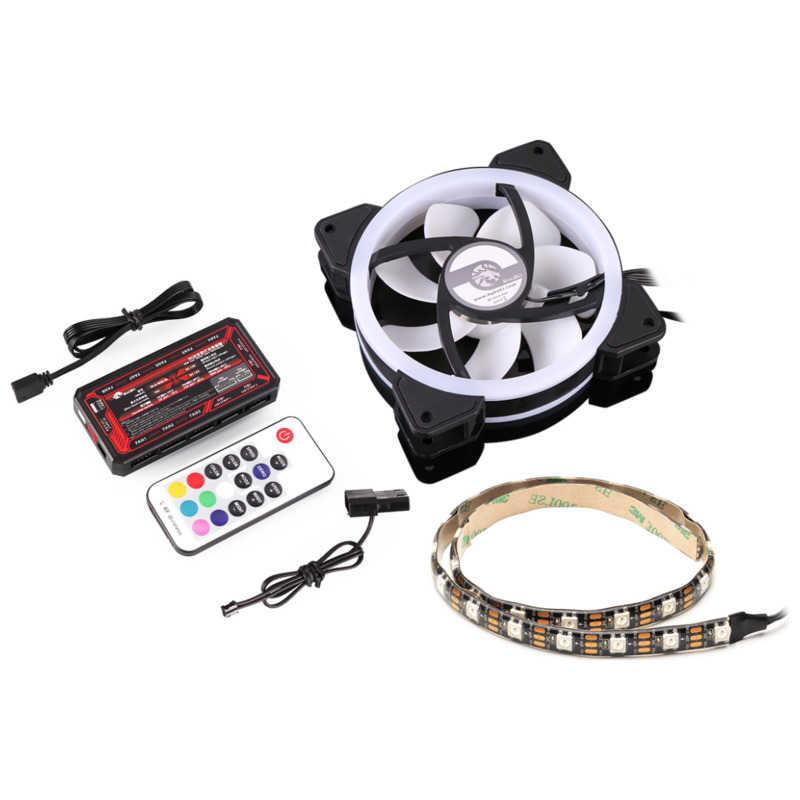 Next, add in some fans to keep your system cool and stylish. The controller can take up to 8 fans for more elaborate cooling solutions such as custom watercooling. If the standlone controller simply isn't enough we also offer an extension hub allowing you to add more lighting and fans to your new controller. Each Synchronization Controller comes with its own remote control which allows you to change the lighting without the use of software. These remotes require x1 CR2032 battery to operate. If you require a battery you can choose to include one in the kit.